NOT so long ago the UK government saw a chapter of its colonial history rewritten. In 2013 Foreign Secretary William Hague read a statement at Westminster announcing a legal settlement with Kenyans tortured under the British colonial administration of the 1950s. His expression of regret for what happened followed a lengthy campaign by Kenyan victims, which was boosted by the discovery of secret UK files revealing new information on Kenya, but also on 37 other former colonies. At a time when Britain is already facing criticism over its role in modern conflicts - including the repercussions of its decision to go to war in Iraq - it is now seeing renewed scrutiny of its colonial history. Could this wider pressure be having any affect on its approach to the deadlock in Northern Ireland? After years of political negotiations, there is still no final agreement on how to deal with the legacy of the Troubles and the issue is being played-out in the courts and through the discovery of previously classified government files. Campaigners from both sides of the Irish border, who trawled British and Irish state archives for new information on Britain's handling of the conflict, have now unveiled their findings in the book A State in Denial. Its contents were uncovered by the Pat Finucane Centre, (named after the solicitor murdered in a plot involving state collusion), and by Justice for the Forgotten, (representing victims in the Republic of Ireland, including those alleging British collusion in the infamous Dublin and Monaghan bombings). The book that emerged from their research, written by Margaret Urwin of Justice for the Forgotten, now raises new questions about the relationship between loyalist paramilitaries and UK state authorities. More than 3,600 people were killed during the Troubles, with republicans claiming over 2,000 lives, loyalists over 1,000 and state forces directly responsible for over 360 deaths. Most of those killed were civilians, including approximately 700 Protestant civilians and over 1200 Catholic civilians. Loyalist paramilitary groups killed more than 700 of the Catholic civilian victims. But A State in Denial examines why for 20 years government failed to proscribe (deem illegal) the loyalist paramilitary Ulster Defence Association (UDA). 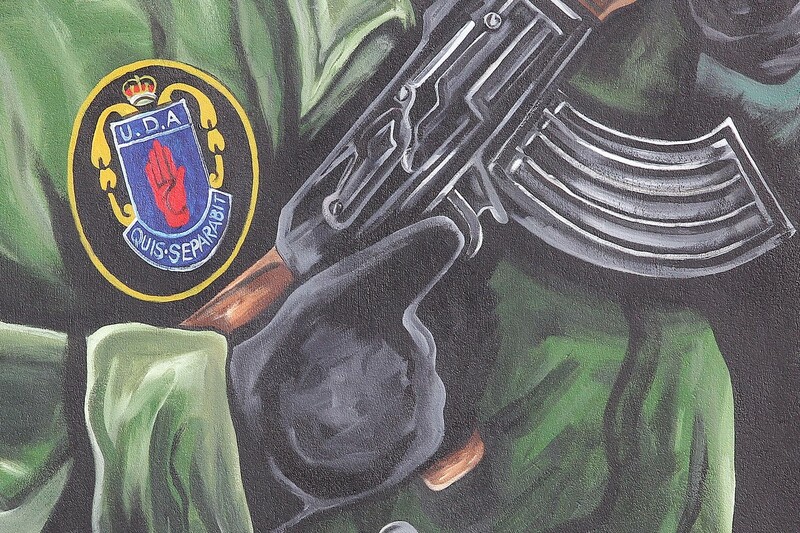 The UDA, born out of a network of loyalist vigilante groups, grew to become the largest paramilitary organisation of the conflict, with an estimated 30,000 members at its peak in the 1970s. But despite it killing more than 400 people during the Troubles - mainly Catholic civilians – it remained legal until 1992. The UDA carried out its violence under the covername the Ulster Freedom Fighters (UFF) and the book examines the extent to which the UK authorities publicly adhered to the fiction that the UDA and UFF were separate groups. However, in private, it is claimed the government held a different view. The book cites an internal briefing paper dated 1976 which described the UFF as "a proscribed and essentially fictitious organisation which is widely known to be a nom de guerre for the UDA." In a 1981 document reproduced in the book a Stormont civil servant referred to the UDA denial of UFF violence, writing: "In terms of the politics of proscription, we have always regarded the existence of such denials as more important than their accuracy." Concerns over the UDA which were raised by nationalist politicians, the Irish government and the Catholic Church, failed to shift government policy. The book claims government and the police wanted to avoid proscribing the loyalist group, despite incidents such as the discovery of a weapons cache in UDA headquarters in 1981. 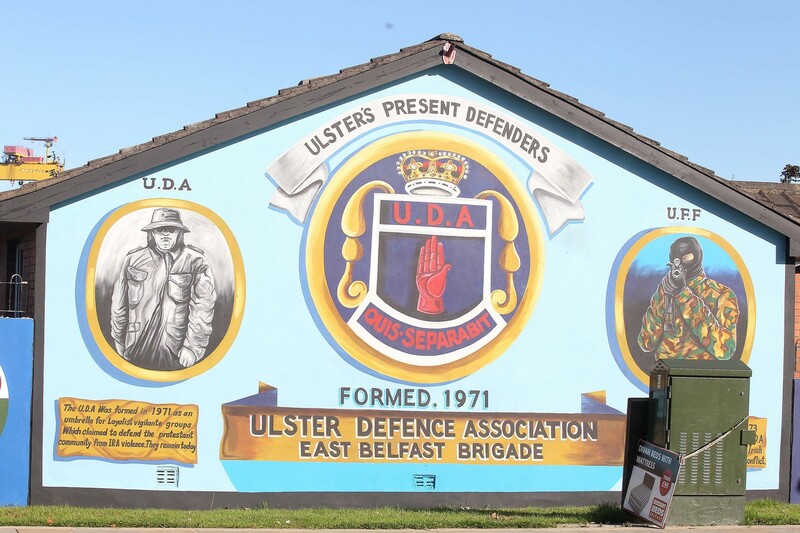 Some of the documents showed how government claimed the UDA was a large organisation that included members with no violent links, plus members interested in moving towards politics, and that proscribing it may raise tensions. A further civil service memo noted a belief that making the UDA illegal would “deprive the security forces of the access which they presently had to those members of the UDA who were also active in terrorism”. Today the state insists that the use of agents in paramilitary groups saved lives, but the book cites documents that seemed at odds with events on the ground. It reproduces a 1982 document bearing the stamp of the NIO (Northern Ireland Office) recounting discussions with the then Chief Constable about the UDA. The memo notes a desire to encourage the UDA towards politics, but also cites intelligence on a UDA plan to target 15 republicans: "Although the police had already taken certain preventative measures they might not be wholly successful, especially because of the difficulty of exposing the source of the information." There are officials shown by the files to have harboured concerns over the UDA, but the government failure to proscribe the group is argued to have had long term implications. The book notes an earlier official document from 1972 that indicated that it was acceptable for UDA members to also be members of the British army's Ulster Defence Regiment (UDR), unless the individual became involved in an offence. But a separate British military report dated from 1973 and entitled “Subversion in the UDR” cited the widespread theft and disappearance of military guns. The subversion document, which was passed to government at the time, concluded that the "best single source of weapons, and the only significant source of modern weapons, for Protestant extremist groups was the UDR". The period covered by the book was also blighted by massive loss of life caused by illegal republican paramilitary groups, which is recognised at the beginning of A State in Denial. The families killed by republicans on Bloody Friday, at La Mon hotel, in the Birmingham pub bombings, the Remembrance Sunday massacre in Enniskillen and many more atrocities, are also seeking justice and disclosure over the death of their loved ones. 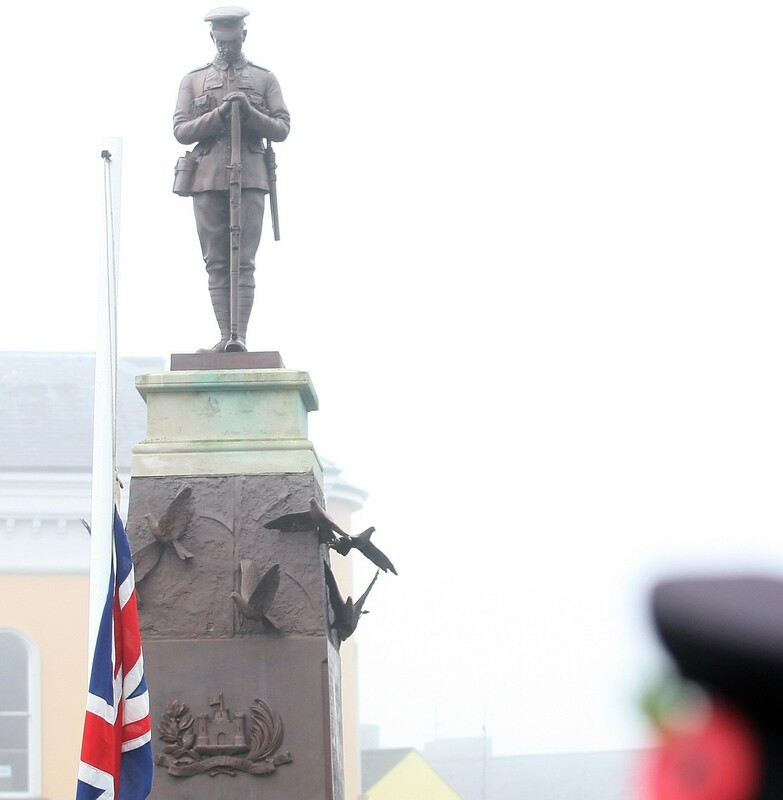 The security forces also paid a heavy price, with republicans killing more than 300 RUC officers, over 200 members of the Ulster Defence Regiment and 500 regular army troops. The victims of republican violence note that they have no reservoir of IRA documents to investigate. And while Britain’s role in the conflict is being raised, The Detail has also reported here on questions being asked of the Irish government. The latest effort to establish a truth and justice process on the Troubles is being held up by a dispute over the use of British intelligence information, with London citing issues of national security. Major questions also remain over how information can be drawn from paramilitary groups. The Irish government recently highlighted its concern over delays, while Downing Street said most killings were carried out by paramilitaries and it won't allow anything that might "rewrite the history of the Troubles". But in the absence of a formal process to deal with the past, the UK government must see that its role is already being reassessed, courtesy of its own records.